New Year’s resolutions, omens, and traditions abound. Ever wonder what would happen if you were a Babylonian King during the new year’s festival? Or what traditions the Scottish have for their new year? 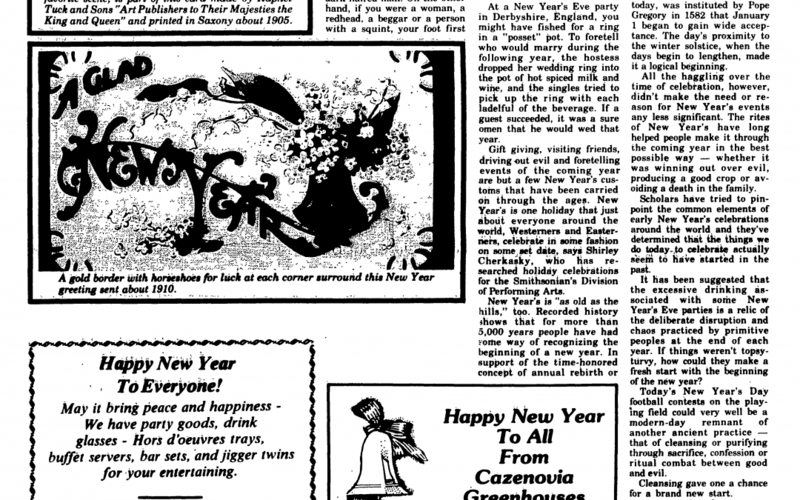 Click here to read the whole article written for the Cazenovia Republican in December of 1983.